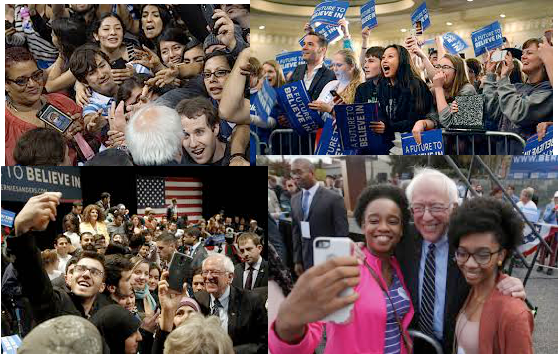 Bernie Sanders and his supporters. Will these Sanders supporters move from supporting an individual to building a political party that represents working class people? Meanwhile, the Black Lives Matter movement or a wing of it has developed a more comprehensive platform. Their program takes up economic as well as other demands. This is an extremely important development for all workers. There are also other important aspects, some of which seem to show an orientation towards the Democratic Party, but some which seem to show the opposite. 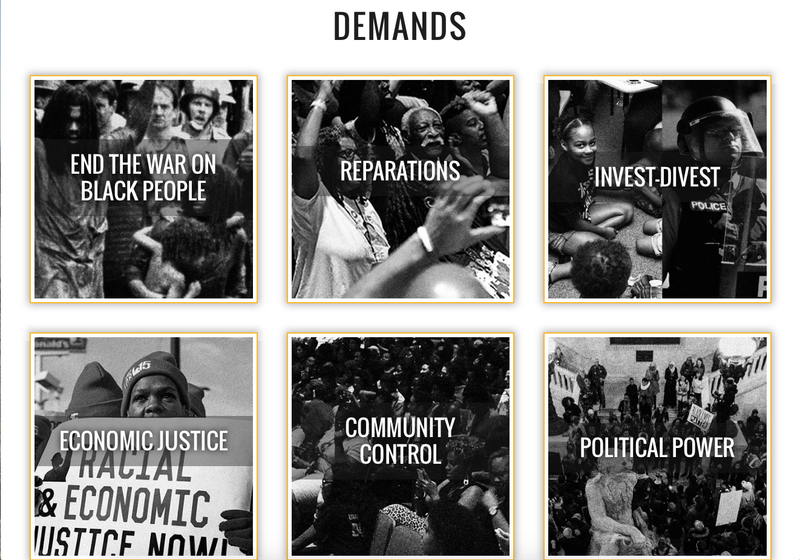 The Movement for Black Lives has developed a wide ranging platform or program. Here is the visual they present of its main planks. But that remains the issue of the day — Corporate America – the capitalist class – has two main parties (the Republicans and the Democrats). Through these parties they organize their own class; advance their ideas and propaganda; and carry out their political agenda. The United States is unique in the industrialized capitalist world in that the main rival class to the capitalist class, the working class, has never had a mass party of its own — a party that can start to play a similar role for its class. Beyond the “Feel the Bern”, beyond the “Jill not Hill”, the question of the hour remains how and when the US working class will change this situation. Will the Greens become radicalized and start to form a real working class base? Will the developments inside Black Lives Matter continue down that road? Or will it be a combination along with some development that nobody foresees right now? Most probably the latter. But meantime, workers and socialists should be involved in all these developments as well as keeping an ear to the ground.